We bring out ideas that suit your company’s personality and reflect the particularity of your business. 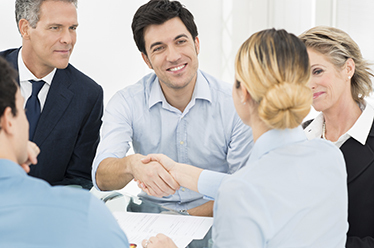 HRS experts focus on clients’ needs and expectations. Creativity, professionalism, efficiency, strictness in meeting delivery deadlines required by our clients, all are perfectly balanced to guarantee success. Our services are meant to ease your day to day activity, leaving you enough time and resources to concentrate on your clients and business activity. HRS portfolio covers various domains in which we proved our competencies. Moreover, we have the means to provide most of the services that your company need in order to face market challenges and speed-up reaching success. Personalized solutions for successful projects, innovative resources and efficient coordination are just part of the instruments that we use and through which we convert our international experience in added value for your company. Any other opportunities for your business may be successfully outsourced to HRS team. Your printed marketing materials are the only remnants of your company that are left behind after a meeting? Make sure that they pass the test and become a reliable source of information that caries your brand with dignity. HRS portfolio includes a wide range of creative services that your business needs. Either it is about addressing to core target or about internal propaganda, communicating becomes much easier and relevant if the message is transmitted in a personalized manner, using instruments that make you come out of the shadow. We value your values! An exquisite creative vision eases reaching your company’s needs and simplify your day to day tasks. Any project is a new beautiful challenge and we welcome you to ask for our support. Tomorrow success starts now! Our team of designers, photo editors and illustrators, along with customer service team, ensures a high level of customer satisfaction for each project. From business card and brochure design to creating trade show displays and catalogues, HRS provides a wide array of specialized services that will establish your company’s brand. We are fully committed to overcoming expectations, strictly respecting the confidentiality and security of the information that we work with. Our experienced team provides comprehensive, responsive, high-quality, value for money design and print services. We pride ourselves on a prompt and reliable response to any request that your company may have. You have questions, we have solutions!